Root canal therapy is another area that Dr Teena performs this surgery on a regular basis. The treatment simply involves removing the affected tooth’s nerve and pulp, before cleaning and sealing the area. At Rouse Hill Smiles, not only do we aim to save the patient’s tooth, but the treatment also helps to prevent the tooth’s surrounding tissue from becoming infected. Once a tooth has undergone root canal therapy, we also place a crown over it to further protect the tooth’s structure from erosion. 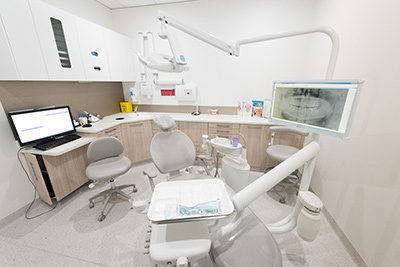 While some patients may fear having to undergo root canal therapy, here at Rouse Hill Smiles, we ensure our patients feel comfortable and at easy throughout their treatment. Most cases are able to be performed right here in our practice with Dr Teena, while more difficult surgeries are referred to specialists in order to give the patient the best possible chance at saving their tooth. Do You Require Root Canal Therapy? If you’re experiencing or are concerned about any of the factors above, please contact Rouse Hill Smiles at (02) 8320 0548 today to schedule a consultation with our friendly dentist. We offer same-day appointments and are open until late on Thursday evenings.